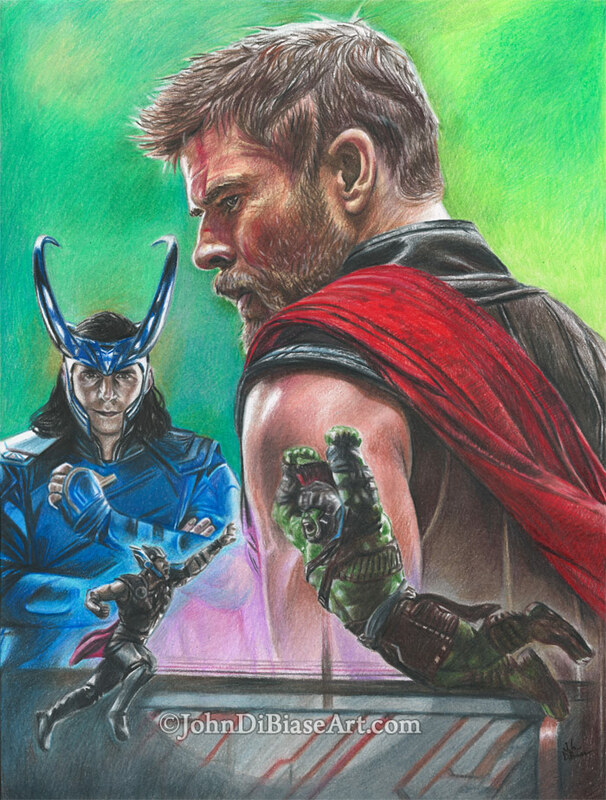 I love the Marvel movies, and with “Thor Ragnarok”‘s release, I felt inspired to do an all-new colored pencil work based around the film. This one was pretty fun — I wanted to try to do something a little unique by making a collage. It’s entirely freehand with colored pencil for everything.